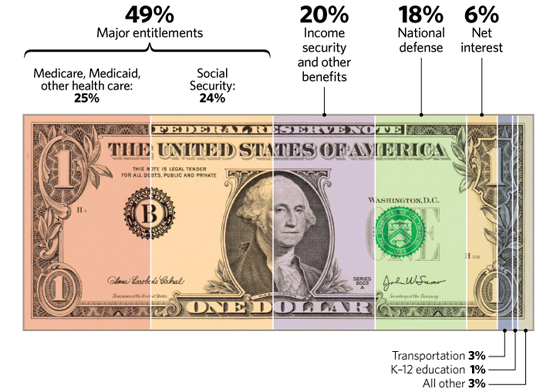 Do you know where your 2013 Taxes went? You are here: Home / Politics / Do you know where your 2013 Taxes went? Have you ever wondered just where and what your 2013 taxes were spent on? The illustration below can help shed some light on this. According to the Office of Management and Budget, 49% went to Medicare, Medicaid and Social Security. Sadly, we spend more on transportation than we do on education. Education is a measly 1%.